Indifferent to the passing of time, the Yamaha XJ 900 has broken records for longevity. Many years after its launch, it still represents the absolute in many regards. The XJ has never lacked for quality, and offers excellent value for the money to enthusiasts seeking a large-displacement, multi-purpose bike that's easy to maintain. 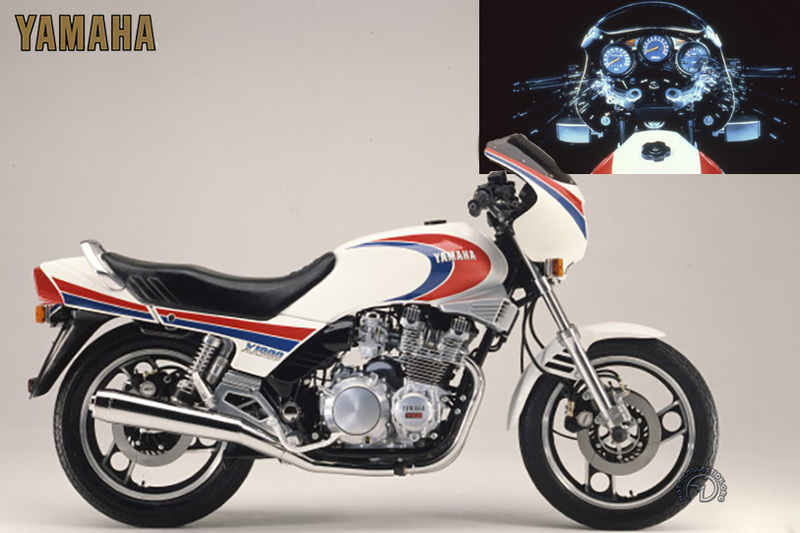 When it was launched in 1983, the XJ 900 was regarded as a strictly sports machine in the same spirit as the Honda 900 Bol d'Or or Kawasaki 1000. In reality, if the Yamaha isn't lacking in liveliness, it's obvious that its real strength is as a rapid roadburner rather than an out-and-out sports bike. Developed out of the XJ650 and 750, the engine is nicely compact, enabling the bike, which is fairly small for its category, to be kept narrow and well-balanced. The four-cylinder engine may be undramatic, but it is astoundingly strong, and the speedometer clearly reveals its real capabilities. Powerful, flexible and frugal, it demonstrates remarkable reliability while its shaft drive reduces maintenance to a strict minimum. Suitable for all occasions, the XJ 900 was quickly accepted by many motorcyclists as an ideal all-around mount for city, highway and freeway riding. Endowed with faultless cycle components, comfortable suspension and powerful braking, the Yamaha is equally at home on interstates or winding, poorly surfaced back routes. Thanks to its discreet styling, its reliability, its manufacturing quality and its smooth feel, the X] 900 remains a benchmark design.